Solid water on Friday was bad enough, not that I would have been able to fish had it been open, but Saturday was decidedly miserable. I'd driven through a light, sporadic rain to the tackle shop to collect a rod for repair. When I left the shop I nearly ended up on my arse as the rain had frozen on hitting the cold concrete. When I got home my car was glazed with clear ice. 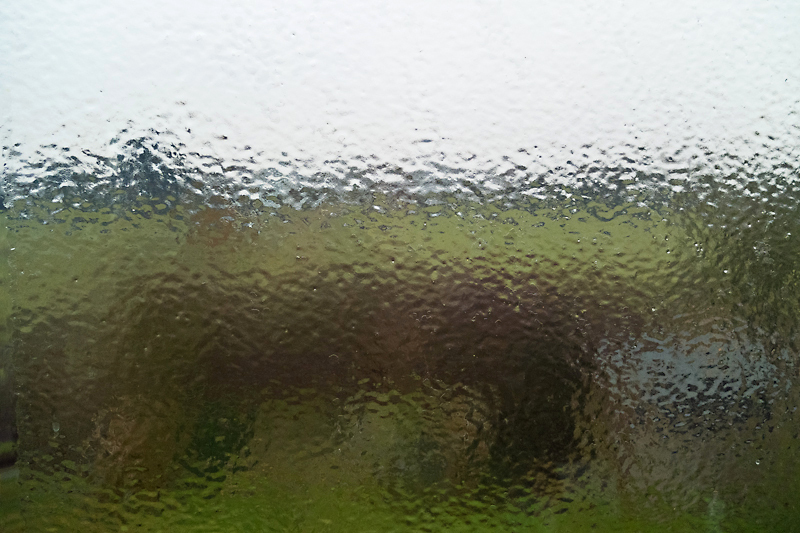 The rain was driving in from the south east and freezing on the upstairs windows making them look like they were decorative rippled glass. I'm glad I wasn't trying to fish in all that!